BXH-510 Wood Chipper with Tractor independent Hydraulic Feed-in System, for your tractor as small as 18HP. The machine weighs 845 lb. fully assembled, Rotor (flywheel) weighs 132 lb., rotor diameter 26 in. 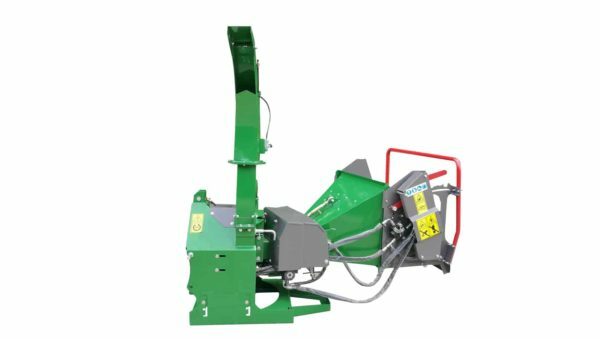 Victory’s BXH-510 is a reliable PTO driven Wood Chipper for sale online which includes a self-contained hydraulic infeed system. The machine weighs 845 lb. and has an electronically balanced 26” flywheel at 132 lb. The 5” x 10” capacity (housing opening) allows for reliable and professional wood chipping without concerns. This chipper handles large branches, including leaves and twigs, as well as heavy-duty logs. The compact BXH-510 is suitable for your small to mid-sized tractors between 18 to 50 HP, utilizing your CAT I or CAT II 3 Point Hitch. The high-quality hydraulic motor (with pump and tank) powers the feed-in rollers, avoiding wood jams by switching direction and speed. Victory’s BXH-510 machine complies with all safety standards and are CE tested following the 2006/42/EC machine directives. The mostly assembled machine (minimal assembly required) does not contain any fluids or grease needed for operation! BEFORE USING THE MACHINE PLEASE CONSULT THE OWNER’S MANUAL. We carry a full complement of spare parts. Take a look at our “Spare Parts” page. Our satisfied customers say this is the best chipper for sale online and we think you’ll agree! Machine (gross) Weight 845 lb. 1,200 lb. Shipping Weight 925 lb. 1,260 lb. Ok so I just ordered one and will have more to follow but for now here is my experience. I contacted Victory with lots of questions, I was about to buy another machine from another company. Even though it was a weekend they answered all my questions quickly. The machine looks exactly like the larger name brand unit I was going to buy, it even had the same specifications. Victory was so helpful during my decision process I decided to go with them vs the big name brand. I also saved a bunch of money. The unit shipped quickly and arrived yesterday in a steel framed enclosure. This machine looks great and is a very heavy unit. I will post more info next week as I get time to assemble and run the unit. Ok so I’ve put a few hours on the machine. Assembly took about 4 hours. The machine works great, better than expected to be honest. The only draw back I have found is it’s not quick hitch compatible and you need a long top link to attach it properly. Not a huge deal but it is a bit of an inconvenience. 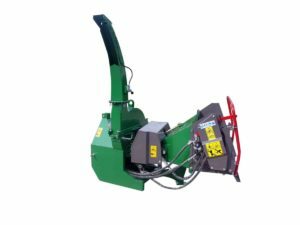 Other than that it seems to be the same quality and HD construction of the bigger name chippers at a much lower price point. Very happy with my purchase.